As of the date of publication of Phase One of the Archive Audit, on March 14, 2003, the Social Security Administration and the Department of Veterans Affairs had failed to provide documentation regarding the implementation of Attorney General Ashcroft's October 12, 2001 memorandum on the Freedom of Information Act. Each agency subsequently provided responses. In addition, the Archive received a response from the Department of Justice concerning its appeal of that agency's use of Exemption (b)(5) to withhold records regarding implementation of the Ashcroft Memorandum. These responses are summarized below. In addition, in September 2003, the General Accounting Office ("GAO") released a report assessing the impact of new administration FOIA policy on the processing of FOIA requests. GAO was asked to determine (1) to what extent, if any, Department of Justice guidance for agencies on FOIA implementation has changed as a result of the new policy; (2) the views of FOIA officers at 25 agencies regarding the new policy and its effects, if any; and (3) the views of FOIA officers at 25 agencies regarding available FOIA guidance. GAO found that following the issuance of the Ashcroft memorandum, The Department of Justice changed its guidance for agencies on FOIA implementation to refer to and reflect the two primary policy changes in the memorandum. 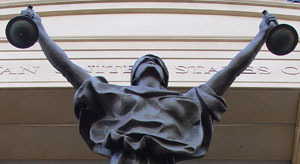 First, under the Ashcroft memorandum, agencies making decisions on discretionary disclosure are directed to carefully consider such fundamental values as national security, effective law enforcement, and personal privacy; the Reno memorandum had established an overall "presumption of disclosure" and promoted discretionary disclosures to achieve "maximum responsible disclosure." Second, according to the Ashcroft memorandum, DOJ will defend an agency's withholding information if the agency has a "sound legal basis" for such withholding under FOIA; under the Reno policy, DOJ would defend an agency's withholding information only when the agency reasonably foresaw that disclosure would harm an interest protected by an exemption. Regarding effects of the new policy, GAO found that FOIA officers most frequently reported that they did not notice changes in their agencies' responses to FOIA requests compared to previous years. About one third of the FOIA officers, however, reported a decreased likelihood in their agency making discretionary releases; of these FOIA officers, 75 percent cited the new policy as a top factor influencing the change. Social Security Administration. In addition to the Ashcroft Memorandum itself, SSA released "SSR Policy Interpretation Ruling: Request under the Privacy Act or Freedom of Information Act for Access to Records and for Disclosure of Materials Maintained by the Office of Hearings and Appeals," and the materials used to train staff persons who handle requests for Appeals Council Working Papers. Although the Policy Interpretation Ruling does not appear to specifically reference the Ashcroft Memorandum, it does discuss the use of Exemptions (b)(2) and (b)(5) and indicate that it is SSA policy to withhold Administrative Law Judge and Appeals Council working papers. The training materials refer to the new "sound legal basis" standard set by the Ashcroft Memorandum and specifically describe the scope of Exemptions (b)(2) and (b)(5). Two e-mails were released in part, with the excisions based on Exemption 5. The released portion explains "[t]he only thing different is that we don't have to describe the particular harm that we anticipate from disclosure." Three other records (one memorandum and two e-mails) were denied in their entirety under Exemption (b)(5). A third e-mail was withheld under Exemption (b)(2) because it contained internal personnel communications including a list of personnel who attended training. SSA released three documents in their entirety, denied two documents in part and denied four documents in their entirety. The denials were based on Exemptions (b)(2) and (b)(5). The new policy will make it easier for agencies to withhold trivial information and information covered by the various privileges, such as the deliberative process privilege, the attorney-client privilege, etc., since agencies will no longer be required to make the additional determination that disclosure would be harmful. The AG acknowledges that that discretionary disclosures may still be made, but they are no longer actively encouraged as they were under the previous administration. Under the new standard, agencies should reach the judgment that their use of a FOIA exemption is on sound footing, both factually and legally, whenever they withhold requested information. DOJ also states that the Memorandum "also recognizes the continued agency practice of considering whether to make discretionary disclosures of information that is exempt under the Act, subject to statutory prohibitions and other applicable limitations. 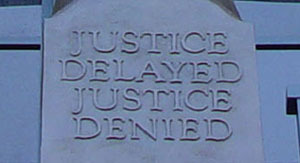 Department of Justice. The Archive appealed DOJ's withholding of three documents in full based on Exemption (b)(5). In its appeal, the Archive noted that the Ashcroft Memorandum had been issued, and that there was no remaining deliberative basis for withholding the records. It further asked for reconsideration in light of the central role that DOJ played in formulating and disseminating the policy, noting that the Ashcroft Memorandum permits discretionary releases. DOJ's decision on the appeal fully upheld the withholdings without any additional justification.